Destroyed by fire in 2003, rebuilt by 2005, now that is devotion, pictures do this engine no justice at all. Ed. : 1920 Fowler, CU978, 'John Murphy's Proud Peacocks'. Added by Tractorpaul on 15 July 2010. 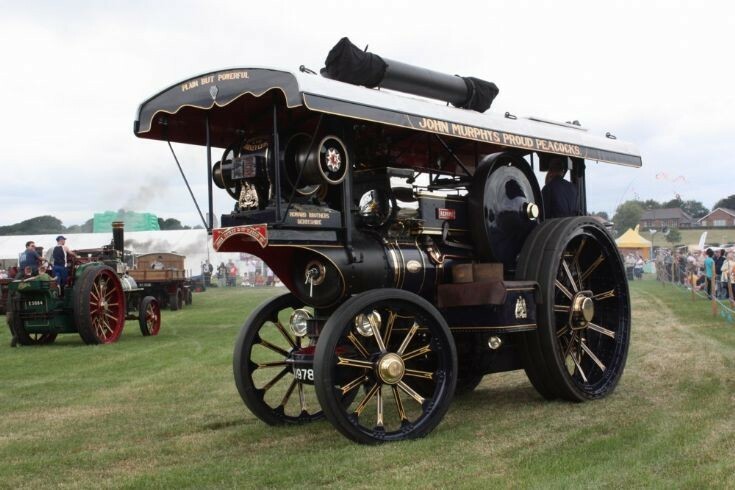 Well now you have me living in hope, the only show I see this engine at is the Cheshire Steam Fair. Added by Andrew Wright on 17 July 2010.